March 30, 2010 – At 19:54 Stations 2 & 4 were dispatched to 28 Berne Drive Drive for a reported tree down. Crews searched and found the location of where the tree had fallen. Time out was about 10 minutes. March 24, 2010 – At 17:05 Stations 2 & 4 were dispatched to the area of 63 W. Liberty and Railroad Streets for a reported brush fire. Chief 723 (Donatti) arrived on location and confirmed a moderate amount of brush on fire in a wooded area just off of Fairview Avenue. Crews used a hand line, brush packs, and rakes to extinguish the fire and remaining hot-spots. Tanker 738 supplied additional water to Engine 732 while Ladder 725 from Station 1 was also requested for man power and assisted with overhaul at the scene. Time out was about 1 hour 20 minutes. March 23, 2010 – At 22:36 Station 1 was dispatched for Rescue 727 along with District 41 (Cressona) to 8 Sunny Lane (R&J Bus Tours) North Manheim Township, for a motor vehicle accident with unknown injuries. Just as the Rescue went responding all occupants were reported to be out of the vehicle and the call was held to Cressona. March 21, 2010 – At 19:58 the Schuylkill Haven Fire Department was dispatched to 62 Seven Stars Road (Cotton Club) for an Automatic Fire Alarm. However, before any units could go responding they were canceled by Chief 722 (Sattizahn). March 21, 2010 – At 15:43 Station 4 was requested to stand by in Station for a possible response to assist District 47 (Landingville) with a search in South Manheim Township. Station 4 was canceled a short time later, due to the child being found. March 20, 2010 – At 16:47 Station 2 was requested to stand-by at their station, for fire districts 56, 39 and 42, as they were out on a large brush fire. March 20, 2010 – At 15:36 Station 4 was dispatched for Tanker 738 along with Districts 42 (Deer Lake), 55 (New Ringgold), 56 (Orwigsburg), and 47 (Landingville) to 1530 Merle Terrace, Orwigsburg for a brush fire. Crews were met with a large brush fire involving approximately 2 acres of land. Tanker 738 hauled 4,000 gallons of water to the scene while firefighters battled the fire using rakes and brush packs. Time out was a few hours. 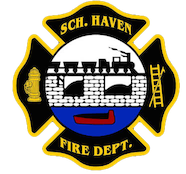 March 13, 2010- At 18:23 the Schuylkill Haven Fire Department was dispatched to the area of 1510 Route 61 (Formerly Pottsville Open MRI) for a transformer on fire. Duty Chief 720 (Peel) arrived on scene to find the fire to the rear of the building. All units remained on scene until the electric company arrived to fix the problem. March 11, 2010- At 11:34 Station 1 was dispatched for Ladder 725 to assist District 41 (Cressona) at 34 Chestnut Street, Cressona Borough, for an automatic fire alarm. Before the Ladder went responding, they were cancelled off, due to a false alarm. March 8, 2010- At 19:04 the Schuylkill Haven Fire Department was dispatched to the area of Parkway and West Main Street, Schuylkill Haven Borough, for a possible house fire. Duty Chief 723 (Donatti) arrived on scene and held all units in station with the exception of Engine 737. After investigating the problem, found to be an outside wood burner, everyone was cancelled off and placed available.